Known for their ability of churning out hit songs, top charting albums and sell-out shows across the globe, The Doobie Brothers continue to be a force in the music business garnering them success now for over four decades. 1975 was a banner year for the band as they took their Bay Area soul and rock driven sounds to a further dimension thanks to the hits on their fifth smash LP Stampede. Produced by Ted Templeman, this platinum event would go on to become one of the most successful albums by The Doobie Brothers as the LP gave them a huge number one single with the Motown classic Take Me In Your Arms (Rock Me A Little While). Fronted by the triple lead guitar force of Tom Johnston, Patrick Simmons, & newest addition Steely Dan’s Jeff “Skunk Baxter. plus Tiran Porter on bass, and the dual drummers John Hartman and the late great Keith Knudsen, The Doobie Brothers continued their trek to the top of the music charts. Stampede went deeper with album radio thanks to more amazing hits like the rockers Sweet Maxine and the tour de force guitar workout on Neal’s Fandango. 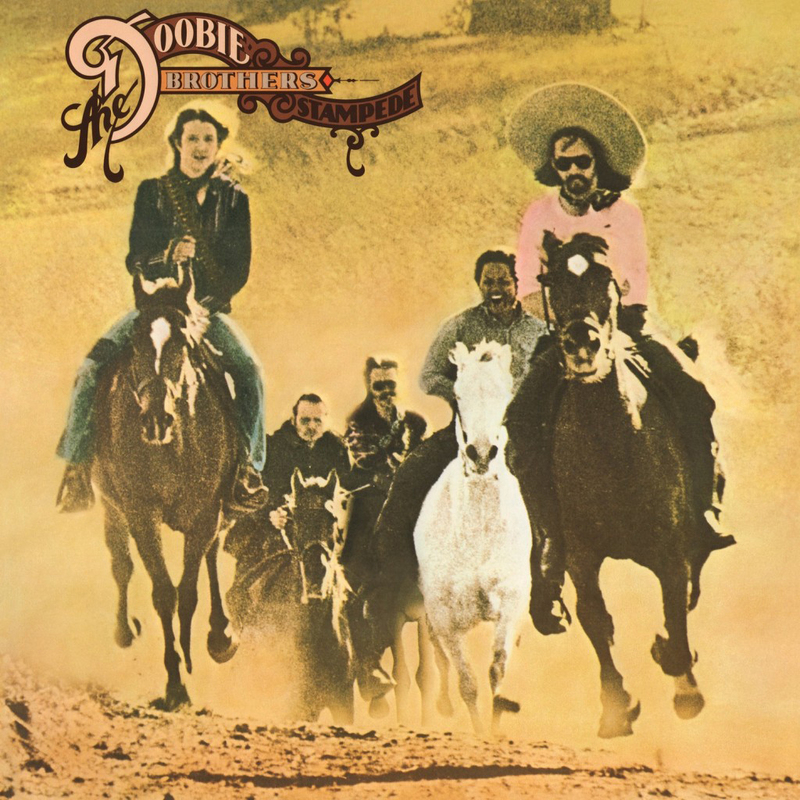 Friday Music is proud once again to offer another installment in our ever popular Doobie Brothers 180 Gram Audiophile Vinyl Series with their masterpiece Stampede. Impeccably mastered by Joe Reagoso (Doobie Brothers/Michael McDonald/Boz Scaggs) at Friday Music Studios and at Capitol Mastering, Stampede sounds incredibly rockin’ and soulful as you remember it.